When Barack Obama leaves office on January 20, 2017, he’ll need a new place to live. And like the race to succeed him as president, as absurd as it sounds this far out, there’s already a front-runner: According to Politico, Obama just can’t stop talking about moving back to New York City, where he lived as a young dreamer in the early ‘80s. “I just desperately want to take a walk through Central Park again, and just remember what that feels like,” the president reminisced at a fund-rasier in 2012. But his life after the White House won’t be all philosophizing in grimy apartments like the first time around. As an ex-president with an active wife, high-school-age daughter, two dogs, and vague plans to start something like the Clinton Global Initiative, Obama will need to find a new niche in a much different city than the one he knew as a poor Columbia student. The options are plentiful, but we’ve got some ideas. Let’s just go ahead and assume price — and co-op boards — won’t be an issue. 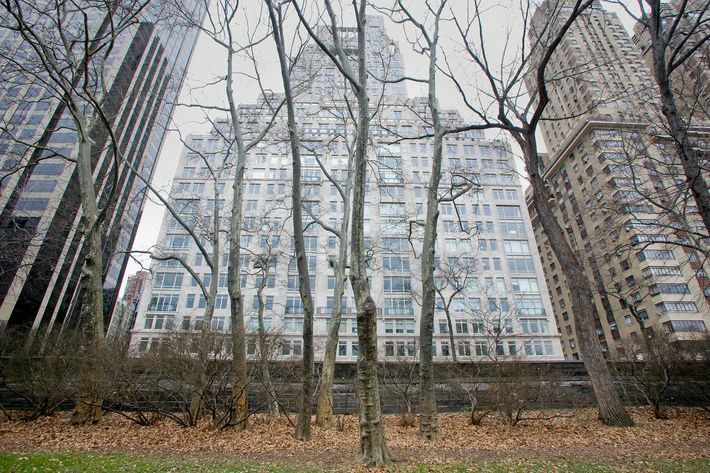 Sure, he could move back — there are luxury high-rises around now — but the Upper East Side is Michael Bloomberg’s kingdom. You’ve got to give him his space. As a junior in college, Obama tried the west side, in a two-bedroom at 109th Street. 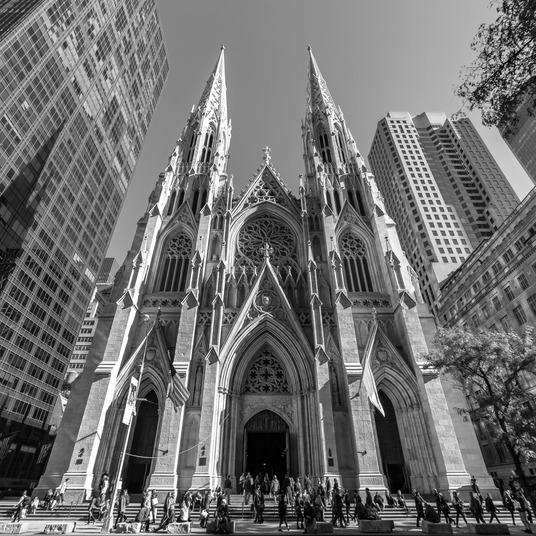 A bit south of there could be an option: Massive buildings like 15 Central Park West, home of Lloyd Blankfein, Sting, and many more bold-face names, promise privacy, space for chauffeurs, and of course the park. But even for a president, the Upper West Side seems a bit stuffy. And it could get awkward with the bankers. 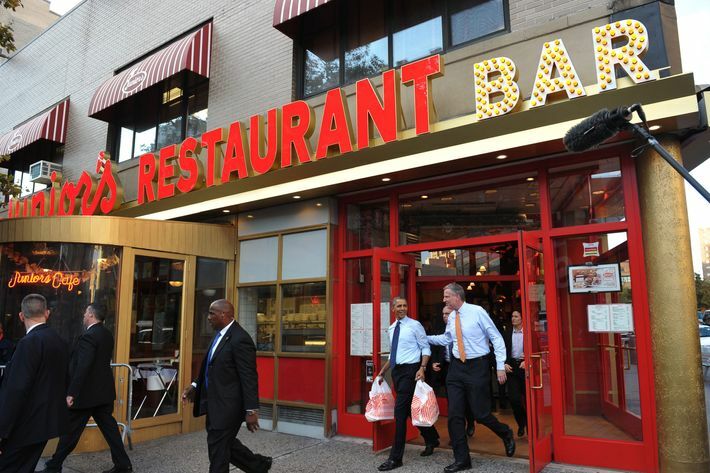 Sparking Obama’s rekindled affair with the idea of the city, aides say, was his trip earlier this year to the Gap in midtown, of all places. “What he cherishes and misses is the serendipity — you don’t know who you’re going to bump into or what they’re going to say,” said presidential confidante Valerie Jarrett. 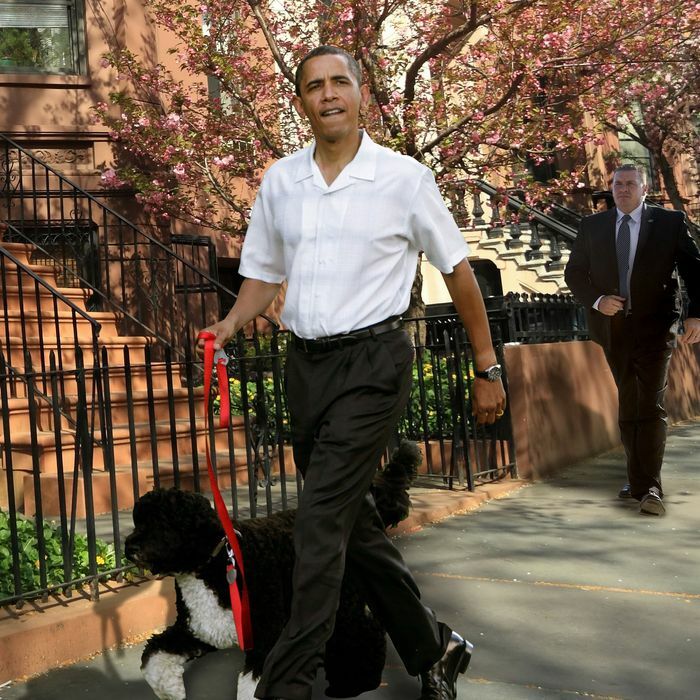 Imagine: A tree-lined brownstone with high ceilings, a private study for the president to write in, a garden for Michelle, a nearby park for Bo and Sunny … It’d be urban bliss, if not anonymously. 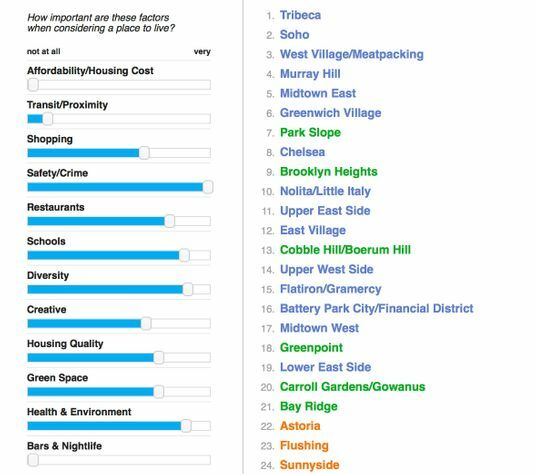 Park Slope and Brooklyn Heights topped the Brooklyn choices above. What new and old residents have found is that Fort Greene plays all of these roles with grace and aplomb. It is a busy, blooming hybrid whose slate-sidewalk streets somehow retain their serenity. No one is in a hurry — even as newcomers rush in from all corners of the city to live here. Bo and Sunny would love the green space. 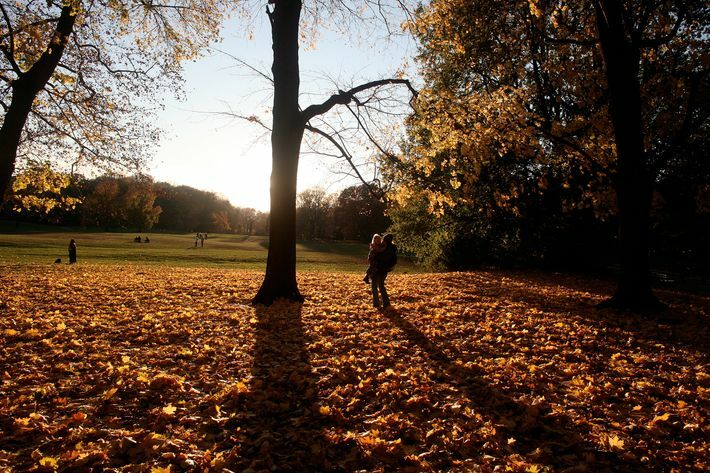 In the immortal words of Spike Lee, “Have you seen Fort Greene Park in the morning? It’s like the motherfuckin’ Westminster Dog Show.” A few blocks over, Clinton Hill and Bed Stuy are also still on the come-up. “When I was living here, Brooklyn was cool, but not this cool,” said Obama in the borough last year. In addition to his places in the city, Obama spent the mid-’80s on Second Street in Park Slope, in a 109-year-old house. The area has only gotten nicer since — “the very definition of a well-rounded neighborhood.” The de Blasios, we’re sure, would be happy to show them around; reelection could keep New York’s own first family in Gracie Mansion through 2021. And Bill knows just the place for Barack to play basketball: He swears by the Prospect Park YMCA. The park isn’t so bad either. It could all come down to a teenager. 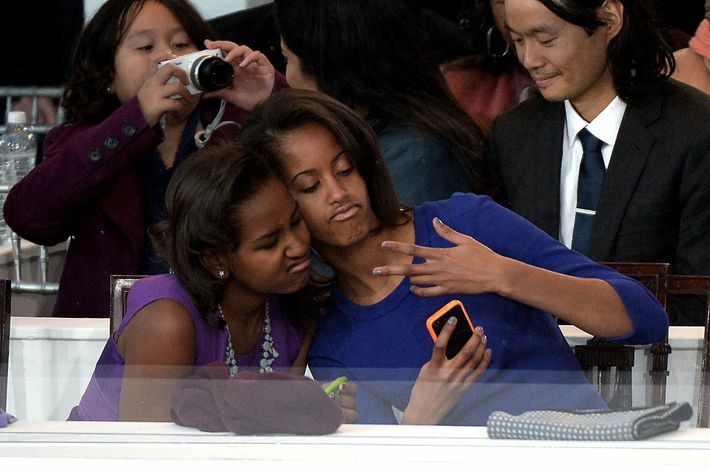 The Obamas’ younger daughter will be 15 at the end of the term, a sophomore in high school. “Sasha will have a big say in where we are,” the president told Barbara Walters last year. If given the choice, what teen doesn’t want to live in New York City — especially Brooklyn? Just ask Dante. [Bill] orders a decaf venti at Starbucks (and always tips) and stops in at Lange’s Little Store and Delicatessen and chats with everyone there. When Mrs. Clinton is around, they go to movies at the Jacob Burns Film Center in neighboring Pleasantville and are reliable diners at local restaurants like Le Jardin du Roi, Crabtree’s Kittle House and the Chappaqua Restaurant and Cafe … Their chocolate Labrador retriever, Seamus, and toy poodle, Tally, are both groomed at Wags and Whiskers. The Clintons are both groomed at Santa’s Salon and Spa. It does sound like a nice life. And if it seems like there’s not enough room in the area for two ex-presidents, the Clintons may be back in Washington by then anyway.